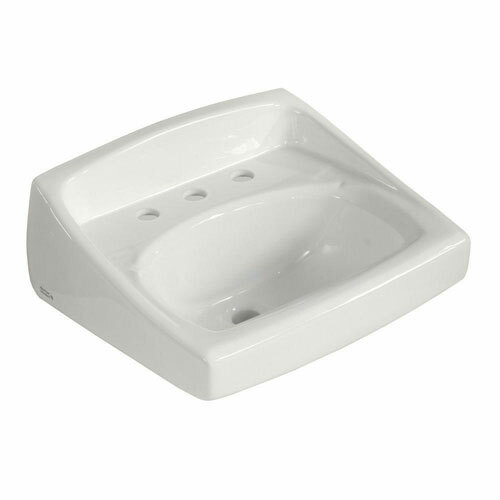 The D-shaped bowl of the American Standard Lucerne Wall-Mount Bathroom Sink in White has a self-draining deck area with contoured back and side-splash shields that help keep water from overflowing. The vitreous china construction ensures long-lasting use, is resistant to most types of stains and is easy to clean. The sink features a front overflow and predrilled 8-inch faucet center holes. 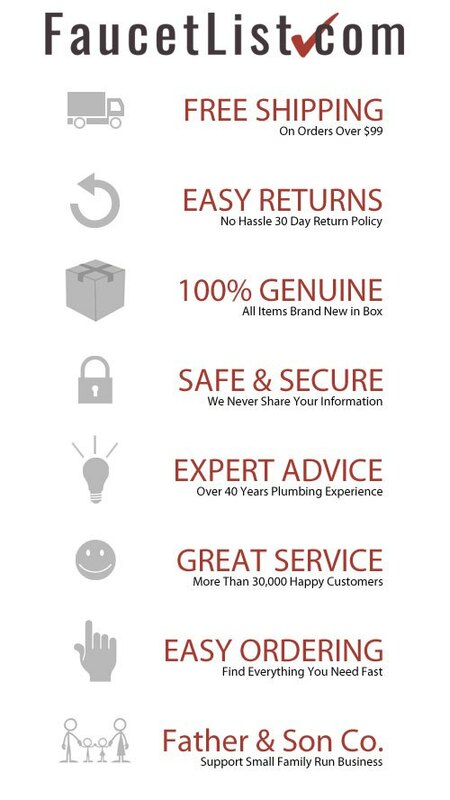 Mounting hardware is provided to make installation easier. Item Boxed Weight: 43.9 lbs.